You have created a sacred space that rejuvenates the soul. We enjoyed being pampered with peaceful and loving care, and also the quietness, soft music, and atmosphere that nurtured our spirits. We were made extremely comfortable and enjoyed the many extras in our room. The innkeepers were available to make us feel at home. The breakfast was wonderful! We also really appreciated the cleanliness of the Inn. Visit our Facebook page, or “like” us here! We thoroughly enjoyed our room accommodations and all the amenities—the superb breakfast, the music throughout the house, the beauty and serenity of the whole house, and most of all the gracious, warm, and friendly hospitality of the innkeepers! Thank you so much. 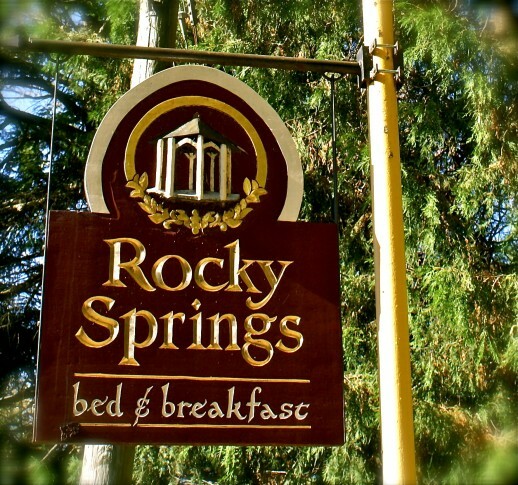 Rocky Springs Bed & Breakfast rated "excellent" by 58 travelers!